When I decided to sign up for my first dance class, at the ripe age of 2, it never occurred to me how much of a privilege this was. As I galloped across the floor from one bubblegum pink wall to another, my intrinsic love for movement was sprouting into something tangible and my dance education, though mostly heel taps and frog leaps, began to blossom. 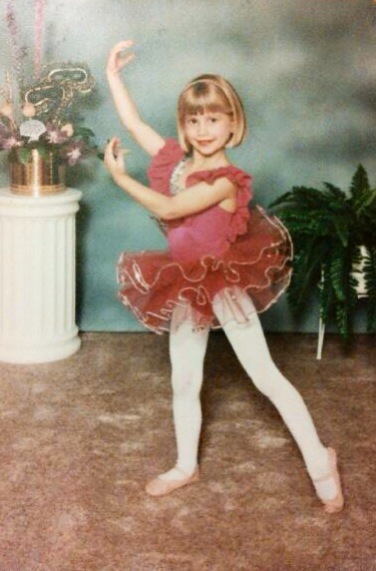 During these early years, dance lessons allowed me to express myself and as I matured, I began to identify more and more as a “dancer”. Somewhere between my early withdrawal from Brownies (pre-Girl Scout status) and my first pair of pointe shoes, dancing evolved from something I did to everything I was. Little did I know, thousands of children possessed this innate urge to move but lacked the resources to explore and expand it. Fast forward 20 years to the present, I now dance professionally, and sharing my experiences through this blog has become as much a part of my identity as ballet itself. Connecting with other dancers through social media is always so inspiring, and using these platforms to grow the dance community has been incredibly gratifying. Enter the Movement Exchange. The non-profit U.S. Embassy sponsored organization provides dance education to underprivilaged children around the world, supporting year-round programs in 3 orphanages in Panama and 2 schools in India by employing local instructors. Domestically, the Movement Exchange fosters the civic engagement of dancers through its university chapters, which cultivate creative expression, social skills and an elevated sense of self by implementing dance programs in disadvantaged communities. This Saturday, April 11th, the Movement Exchange is conducting its first annual Move To Change Day, uniting dancers across the globe in support of the power of dance. Dancers everywhere are encouraged to get moving and share their passion by organizing a performance, workshop or fundraiser to aid in the financing of these hugely influential international dance programs. Personally, I will be in the studio rehearsing all day, and performing that night- a day full of dancing indeed! I challenge you to take part in this campaign in any way you can…get together with some friends for a dance party, go see a performance, spread the word, and find out other ways to contribute here. This entry was posted in Ballet and tagged ballet, dance, dance awareness, international dance, movement, movement exchange, outreach, support. Bookmark the permalink.